I have previously handwashed these trainers. infant boys nike trainers 95s size 8.5. Condition is Used. Dispatched with Royal Mail 1st Class. NIKE TANJUN TRAINERS. SIZE 6.5 INFANT BOYS. Nike Revolution 2 Boy's Trainers. Size Kids 12.5. Light and Dark Blue Uppers. 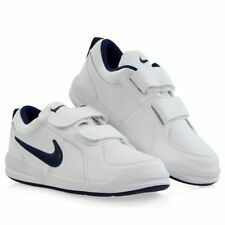 Nike Court Royale Kids Boys White Trainers Size 9.5 Infant RRP £26.99. Condition is New with box. Dispatched with Royal Mail 2nd Class. *** NIKE AIR RIFT TRAINERS - BLACK -Size UK 13.5 kids ***. Condition is Vgc Dispatched with Royal Mail 2nd Class. Infant Nike trainers size 1.5. Grey with neon yellow and white. 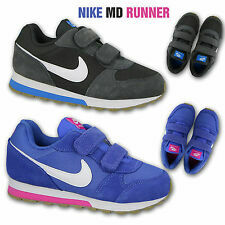 INFANT BOYS/GIRLS NIKE MESH TRAINERS SIZE UK 11 EU 29 SOFT AND COMFORTABLE BLACK GOOD CONDITION Check out my many other items! Nike Infant Boys Trainers Size 8.5. Nike Infant Boys Trainers Size 8.5.. Condition is Used. Dispatched with Royal Mail 2nd Class. Blue with Velcro fastening. From a smoke and pet free home. I am happy to combine postage on multiple purchases. Thank you for looking. 4.5 out of 5 stars - Nike Infant Boys Trainers Size 8.5. 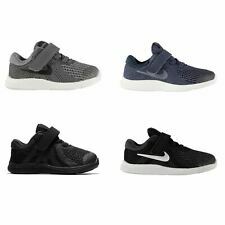 3 product ratings3 product ratings - Nike Infant Boys Trainers Size 8.5. 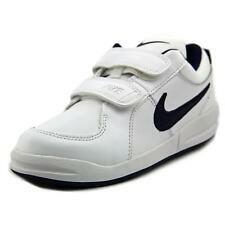 Nike Boys Trainers Size Infnt 8.5. Condition is Used. Dispatched with Royal Mail 2nd Class. A lovely pair of white hi top trainers from Nike. 'Nike' printed in silver at the back heel (see pics). Size 12 kids UK/30 EU/12.5 USA. Leather upper. 100% GENUINE. infant boys nike trainers size 8.5. Condition is Used. Dispatched with Royal Mail 2nd Class. A lovely pair of white trainers from Nike. 'Nike' printed in silver at the back heel (see pics). Size 11 kids UK/28.5 EU/11.5 USA. Leather upper. 100% GENUINE. Red Nike Jordan Shoes Size UK 5 Smoke/pet free home Condition is Used. Dispatched with Royal Mail 2nd Class. NIKE FLEX EXPERIENCE RN 7 TRAINERS. SIZE 11 INFANT BOYS. Low-cut collar for a natural fit and comfort around the ankle. Solid rubber outsole for excellent traction and durability. Hook-and-loop closure for easy on and off. Upper - Leather, Lining and Sock - Textile, Sole - Other Materials. Nike Infant Trainers Size 3.5. Condition is New with box. Dispatched with Royal Mail 2nd Class. used a lot boys nike trainers size 8 infant. Condition is Used. Dispatched with Royal Mail 2nd Class. • 1x Pair of Nike Tanjun Trainers. • Size : UK Infant 8.5. • Colour : Black. Product colour may vary slightly from the photos due to the differences in computer/device displays. might not be limited to. Nike Boys Black Trainer. Nike 467049-001. 3 strap hook and loop. Black school shoes. 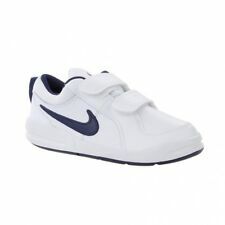 Boys Nike Downshifter 8 INFANT TRAINERS Size 4.5. Condition is Used but immaculate. Worn once indoors.. Dispatched with Royal Mail 2nd Class. Brand new original Nike Jordan Flight Origin 4 BT Infant Size-UK 8.5. / EU 26. Free and fast delivery within the UK. Wrong item sent. Doesn’t work or is defective. Non EU Countries. Ordered by mistake. Just didn’t like it. Found a better price. Changed My Mind. Doesn’t Fit. Nike Rift, Red, Fabric, Authentic, Size U.K. 4.5 Infants. Condition is New with box. Dispatched with Royal Mail Signed For® 2nd Class. Great condition With box Infant Nike Trainers Size 3.5. Condition is Used. Dispatched with Royal Mail 2nd Class. 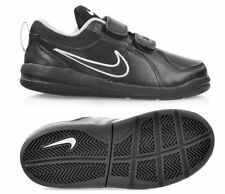 Nike Boys PICO 4 Leather Trainers, Size UK 1, Black !